RSMSSB Notification 2018.Rajasthan Subordinate and Ministerial Service Selection Board has released a notification for the recruitment of Anganwadi Worker Quota vacancies.Check the eligiblity and notification prior to apply for the positions. Graduate degree holders from a recognized university can apply. Lower age limit for applicants is 18 years, 40 years is the upper age limit to apply. Through examination basis, aspirants will be shortlisted and selected. 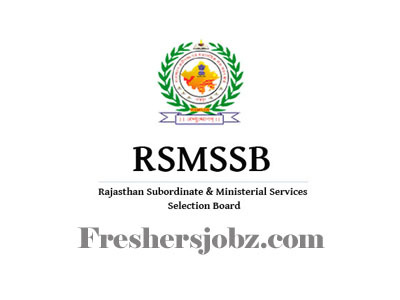 Only online mode of applications from 04th October 2018 to 03rd November 2018 contenders can apply for RSMSSB Supervisors Recruitment. https://sso.rajasthan.gov.in/register is the link to register and https://sso.rajasthan.gov.in/signin is the link to sign in for applicants.